We are determined to be committed to Jesus Christ. The mission of the Rocky Branch Baptist Church is to witness Jesus Christ. Through the proclamation of the gospel, the teaching of His doctrine, the consecration of the individual believer. And the demonstration of His love in the believer by ministering to the least, the lost, the lonely, and the unloved. Our mission of witnessing for Christ will motivate and equip persons to accept, by faith, God’s redemptive purpose, to accept by allegiance His will and to accept by actions, His way by all humanity. The result of this witnessing mission will lead to the fellowship of a harmonious relationship with God and with one another through His Son Jesus Christ. We are headed in a new direction with the help of the Lord. The Cathedral in the Country has moved into an innovative and exciting church building that includes a 400 seat sanctuary, fellowship hall, classrooms, offices and pastor's study. Come fellowship with us as we further our ministry in the community and continue to do God's will. There's no such thing as a great church without great leaders. The Reverend Lynn G. Robinson is a native of Southwestern Pennsylvania. He is the oldest of five children born to the late Deacon Benjamin G. Robinson and the late Mrs. Daisy Abbot Robinson-Early. He is married to the former Lisa Ann Fitzgerald. He received his elementary education through the German Township School District and graduated from the German Township Senior High School, Fayette County, Pennsylvania. He is a graduate of Pennsylvania State University with an Associate Degree in Letters, Arts and Sciences. He also attended the American Baptist Theological Seminary Satellite School and studied at the Reformed Presbyterian School of Theology, Pittsburgh, PA. He is also a graduate of Virginia Union University with a B.A. Degree in Religion and Philosophy and holds a Masters of Divinity from Virginia Union School of Theology. 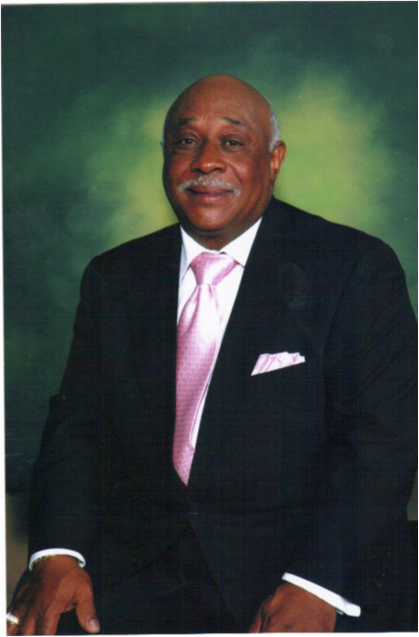 Reverend Robinson is the former pastor of Rocky Mount Baptist Church, Connellsville, Pennsylvania; Ebenezer Baptist Church, Matthews County, Cobbs Creek, Virginia; Shalom Baptist Fellowship Church, Richmond, Virginia. He is presently the pastor of Rocky Branch Baptist Church, Sutherland, Virginia, where he has been the last seventeen years. He has been in the gospel ministry for over thirty-six years. It is the philosophy of Pastor Robinson that a church cannot grow until we as Christians understand the real meaning of church membership. Every member should know the seriousness and sacredness of their commitment to the Lord Jesus Christ. Churches are never stronger than their membership; and a membership of careless, negligent, stunted Christians will prevent a church from accomplishing much for the lord. There is a need for every member to be consecrated, trained, and enlisted into active service. We are under obligation to be the very best members possible under the leading of the Lord.